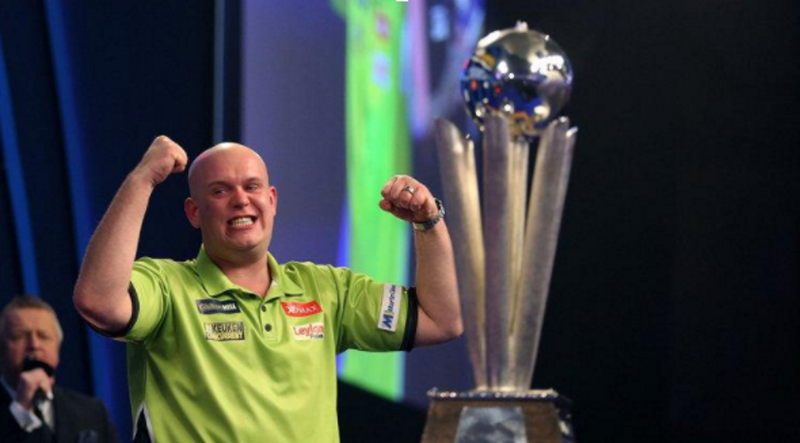 Another week means another darts tourney and yet another Michael van Gerwen victory in a televised competition. This time it was a third successive Players Championship Final victory. The world number one — it goes without saying — is now Betway’s 8/11 favourite to win the World Championship, which you will be pleased to hear is just a little over two weeks away. van Gerwen’s latest win came at the expense of unexpected finalist Jonny Clayton, who he beat 11-2 in Minehead. The victory comes on the back of three successive televised event wins at the European Championship, World Series of Darts Finals and the Grand Slam of Darts, stretching his run to 28 competitive match wins in a row dating back to October’s World Grand Prix. Against Clayton, the Dutch maestro averaged 105.5 and landed five 180s and 23 doubles giving his opponent — a pre-tourney 250/1 shot who was appearing in his first ever TV final — no chance whatsoever to get into the match. Despite his loss, Clayton — who shot down Rob Cross in the semi-finals — comes away as an over-achiever that had previously never reached a quarter-final at this level. The draw for the 2018 PDC World Darts Championship was made last night and we now know that Michael van Gerwen will begin his Championship defence against Betway’s extreme outsider Christian Kist, who is currently around 1000/1. Two-time world champion, 2017 runner-up and 6/1 second favourite Gary Anderson will first face off against the winner of Jeff Smith (500/1) or 1000/1 hopeful Luke Humphries, but should meet MVG in the Quarter Finals if everything goes as expected. This year’s second seed and UK Open champion Peter ‘Snakebite’ Wright will begin his campaign against Brazilian Diogo Portela (2000/1). Wright is 9/1 with Betway, who hopes to topple the Dutch master in a likely final and win what would be his biggest event of his career. After a very slight wobble a few months back, van Gerwen has returned to red-hot form at exactly the right time making the world no 1 again the man to beat as he hunts down a third world title priced 8/11. His half of the draw will also potentially pair him with countryman and 50/1 shot Raymond van Barneveld, who starts his campaign against Richard North (750/1). Of the 72-man field, all eyes will be on 16-time world champion Phil ‘The Power’ Taylor, who takes to the Ally Pally stage for one last time in what will be his final competitive appearance before retirement. To advance, he will likely need to come through the 500/1 priced Justin Pipe and likely one of either James Wade (125/1) or Mervyn King (300/1). Taylor is looking to repeat his superb final victory at the World Matchplay earlier this year by claiming the Sid Waddell Trophy and exiting in true Taylor style. Betway have the sixth seeded legend at 10/1 to do so. The Power will start off the eventagainst Chris Dobey (500/1). Elsewhere, Daryl Gurney and Rob Cross continue to impose themselves on the big four. In just a year, Gurney has replaced Adrian Lewis (33/1) — who is himself a two-time winner here — as fourth seed, while Rob Cross finds himself on the edge of the top 20 despite going from amateur to professional over the same time span. Betway are offering 12/1 on Cross and 40/1 on Gurney in the outright winner’s book. Very much the jewel in the PDC crown, the 2018 PDC World Darts Championship will takes place at Alexandra Palace in London from Thursday December 14 to Monday January 1 and will be broadcast live on Sky Sports. 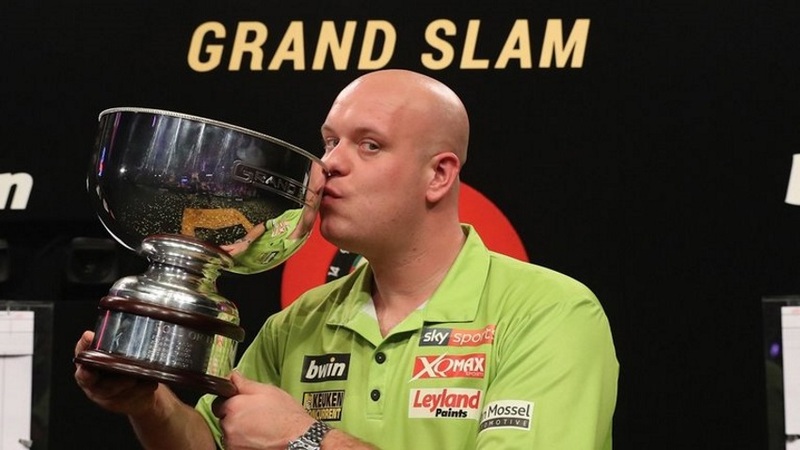 On Sunday at the Wolverhampton Civic Hall, Michael van Gerwen beat Phil Taylor before taking down Peter Wright in the final to claim his third straight Grand Slam of Darts. The world number one now adds the title to his World Championship and Premier League crowns in what has become yet another imperious year for the Dutch master. The group stages had seen a number of spirited performances from some of the field’s outsiders, but in the end the final eight was about as good as could have been expected. The Order of Merit’s top four – Michael van Gerwen, Peter Wright, Gary Anderson and Daryl Gurney – all took their place in the Quarter Finals. They were joined by the 16-time world champion Phil Taylor, a 2017 televised major winner in Mensur Suljovic, BDO champion Glen Durrant and Rob Cross, considered by many to the game’s hottest emerging talent. This was not a view shared by Phil ‘The Power’ Taylor regarding Daryl Gurney, who when quizzed by Sky Sports if Superchin represented the future of Darts, laughed it off and humiliated his young opponent 16-4, 24-hours later. Back to Sunday’s action and Peter Wright, who had earlier fought back from being six legs down to beat Gary Anderson 15-16 in the semi-final, couldn’t keep up with MVG in the final. van Gerwen averaged over 50% throughout the whole event and won six of the last eight legs to win 16-12 and claim yet another major televised title. Only hours earlier, the Dutchman had beaten Phil Taylor, the only other man to win three Grand Slams, 16-8. The final paired the newly top ranked pair in the world who went on to share seven 100+ finishes before Mighty Mike hit the after burners and stormed off with the win becoming only the second man to lift the Grand Slam trophy on three successive occasions. As the players prepare for the Players Championship in Minehead this weekend, many eyes are turned towards Alexandra Palace and the World Championships, now little under a month away. Michael van Gerwen heads into the Ally Pally chasing a third world title and his second in as many years. He currently a 4/5 favorite at Betway to do so. Gary Anderson (11/2) and ‘Snakebite’ Wright (7/1) in particular should be considered the biggest threats to the Dutchman’s growing immortality. Elsewhere, the traditional top eight of the past few years is finally being threatened by Daryl Gurney, Mensur Suljovic and Rob Cross as they begin to challenge the likes of Adrian Lewis, Dave Chisnall and James Wade in hunting down the leading pack of Van Gerwen, Wright, Anderson, Taylor and Raymond van Barneveld. Come February, Wade, Lewis and Chizzy will have a battle on their hands when it comes to the Premier League matches and other majors. 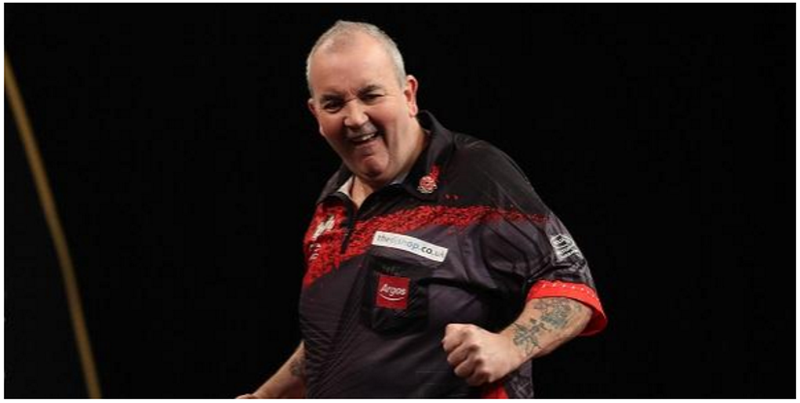 That said, it’s inevitable that the departing legend that is Phil Taylor will be where the pre-tourney narrative is. He enjoyed himself in Wolverhampton, where he made life miserable for the Sky Sports’ cameras. During the event he playfully cursed live on air and dismissed the challenge of Gurney, whom he destroyed in the QF’s. On this form, he will not be going quietly come North London. Taylor is a respectable 8/1 at current prices for one last shot at World Championship glory. The Power will not be at Minehead this weekend, where the PDC go it alone and where 27-year-old Rob Cross is the top seed. Cross’ good form continued with a run to the quarter-final last week, making it easy to forget that this is his first year on the circuit and was not even a professional this time last year. Now Cross, who has risen to world’s top 20, finds himself top seed and fourth favourite for a live televised event. If you fancy Cross to win live on ITV2 this weekend, get on him now at 9/1 at Betway. Or, of course, you’ll find the big three, MVG (10/11), Anderson (11/2) or Wright (8/1) also available. Despite suffering defeat to James Wade, Phil Taylor joined Michael van Gerwen, Rob Cross, Raymond van Barneveld and Daryl Gurney in the last sixteen of the Grand Slam of Darts. Wade, Peter Wright, Gary Anderson, Daryl Gurney and Dave Chisnall will all be there too as the Round One Group Stage threw up little in the way of surprises. For Taylor, progression into the knockout stages of his last ever Grand Slam was secured without even throwing a dart following Robbie Green’s shock 5-3 defeat to the BDO’s Peter Machin who had already been eliminated. Green almost beat The Power on Sunday before the departing legend showed the class of old to fight back to a 4-3 win. However, last night in a match against James Wade The Power wasn’t able to match his opponent, averaging just under 85 and missing 11 darts at doubles in a 5-3 defeat that saw both men progress. Elsewhere, two-time defending champion Michael van Gerwen — who was already guaranteed a place in Round Two — topped Group A after he made it three wins out of three following a 5-2 victory over Joe Murnan in which the Dutchman averaged over 108. The world number one and pre-tournament favourite was followed out of the group by Rob Cross who secured a runner up spot with a 5-2 triumph over the BDO’s Ross Montgomery. In Group B, Raymond van Barneveld and second-placed Steve Lennon both moved into the last 16 at the expense of Gerwyn Price, the biggest name eliminated so far. Group D was sorted in dramatic style after a nine-dart shootout was required to decide the result between Websters, Mark and Darren. The pair — which are no relation — returned to the oche after their match was tied with Mark scoring 298. Darren, who had previously lost 5-1 to Daryl Gurney, landed a brilliant win-or-die treble 19 with his last shot to total 301 and take the group’s second place behind Gurney. The other groups were all finished on Monday, meaning we already knew Peter Wright had failed to secure the top spot in his admittedly tough Group E. He took second place behind Glen Durrant of the BDO, which we predicted as a possible outcome last week. Stephen Bunting topped Group F at the expense of Dave Chisnall, who still progresses as do the first and second place finishers of Group G — Mensur Suljovic and Michael Smith respectively. There were also no surprises in the final group as the world number two Gary Anderson ran out the winner and was joined in the last 16 by Berry van Peer, despite his attack of Dartitis on Monday night. Heading into the final 16, Betway has updated their outright odds accordingly. Michael van Gerwen (8/11), Gary Anderson (11/2), Peter Wright (10/1), Phil Taylor (10/1), Mensur Suljovic (18/1), Daryl Gurney (20/1), Rob Cross (20/1), Glen Durrant (22/1), Raymond van Barneveld (40/1), Dave Chisnall (50/1), Michael Smith (66/1), James Wade (80/1), Stephen Bunting (100/1), Darren Webster (150/1), Steve Lennon (250/1) and Berry van Peer (500/1).